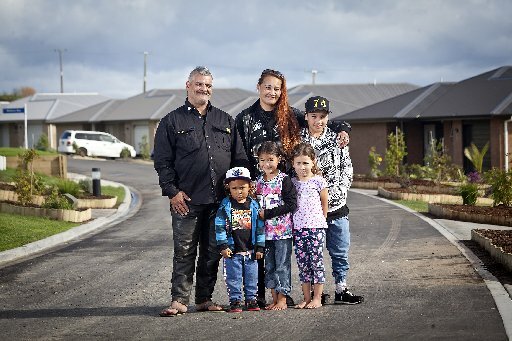 Twelve families who had been struggling to find a healthy home were at the centre of celebrations of a key milestone in a Tauranga housing project at the weekend. The Mangatawa Papamoa Block papakainga development opened 12 new family homes at the end of Tareha Lane on Saturday. Mangatawa Housing project manager Victoria Kingi said while the official opening was significant, the most important day was when the families moved in three months ago. "When you see the project on site and the people and the children who are happy, mums and dads who are happy, that makes it all worthwhile." 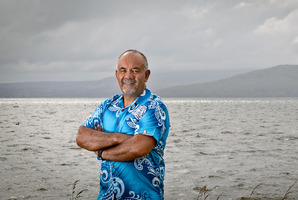 Te Ururoa Flavell, Maori Development Minister. "Quite simply, like everyone else, we want our families living in quality, affordable, healthy homes. It's a simple as that," Ms Kingi said. "They were living in damp, miserable homes. They were housing needy." Ms Kingi said while it was a positive milestone it was "a drop in the ocean" in addressing the housing issue. "The issue we have is that it costs nine times the average Maori salary to buy the average home in Tauranga," Ms Kingi said. The 12 new homes are rentals, with tenants paying their way. The next and final stage in the project will be eight home-ownership houses, which had already gained interest from prospective buyers. Part of the conditions for moving in to the papakainga development was people had to have a link to Mangatawa, effectively helping tenants to return to their roots, Ms Kingi said. "The real motivating factor is to provide housing options that our people can afford," Ms Kingi said. Ms Kingi said Te Puni Kokiri helped significantly to make the next stage of the project happen, while the Social Housing Unit had helped create the 12 homes. Mangatawa itself contributed about 50 per cent of the capital cost and donated the land, worth more than the project. This stage of the project had been running for six years now. Ms Kingi commended the tireless efforts of Maori Development Minister Te Ururoa Flavell who had helped the project along. Mr Flavell, also MP for Waiariki, attended the opening, planting a kowhai tree near a plaque that was unveiled, commemorating the day. Mr Flavell said there were four main areas of focus that were important to him: whanau (family), whenua (land), whakapapa (ancestry) and whare (housing). "That's the ultimate. When you come to the papakainga houses with families and the tie in of all these things coming together, it's pretty special." Mr Flavell said it had been a lot of hard work bringing the project to fruition "but when you see the project on site and the people and the children who are happy, mums and dads who are happy, that makes it all worthwhile". Mr Flavell said he was glad to be part of the project. "It won't break the world but for these families and this community, it's pretty big." After calling a caravan on someone else's property home, Maurice Walker is loving life in an actual house. The Tauranga man moved into a four-bedroom family home three months ago as part of a Maori housing project. On Saturday, he joined others in celebrating the official opening of 12 new homes at the Mangatawa Papamoa Blocks. Mr Walker said moving in had turned his and his family's lives around and he could not be more grateful. "It's had a really big impact. Most of our families here, myself in particular, we lived in caravans on a bit of land. "We were struggling really hard." Through Mr Walker's partner, Sheree Tokona, the couple and their children were able to access a newly-built home as part of the Mangatawa housing project. Having now settled in the community, Mr Walker has already become the "fix-it" man for the children's bikes which line the fence of his home. Children from all over the neighbourhood play in the street and the Mangatawa marae is a stone's throw from most homes. "It's just great," Mr Walker said. "We are all the same whanau, we all know each other. It's a beautiful environment and it's just getting better and better. We need more of this." Mr Walker, who was nominated as chairman of the residents' committee, said the Government needed to take heed of the massive impact such a housing project had on a community and consider this more when it came to funding such projects. "It's paramount for our kids to be healthy and happy. It's created a beautiful environment for our kids here."